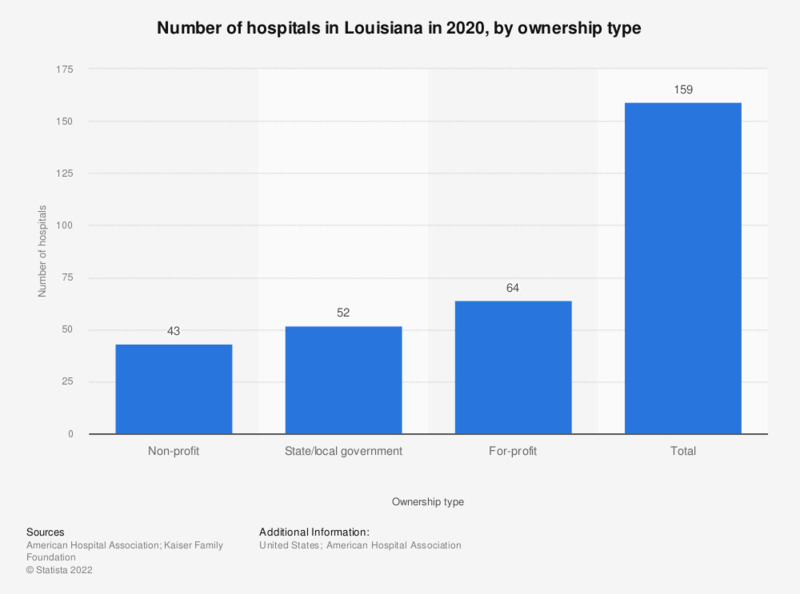 This statistic depicts the number of hospitals in Louisiana in 2016, by type of ownership. During this year, there was a total of 118 hospitals in Louisiana. Health care spending per capita in the United States is among the highest in the world.